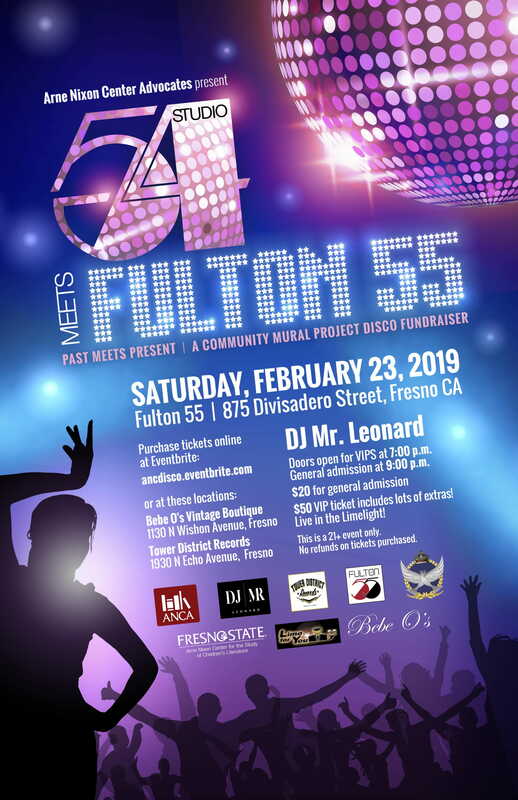 Put on your bell bottoms, grab those platform shoes and join the Arne Nixon Center Advocates for a night of dancing and entertainment at Fulton 55! 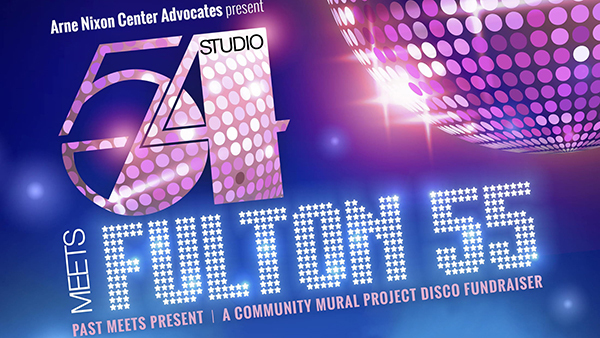 This Feb. 23 fundraiser will benefit the Nixon Center’s upcoming Community Mural Project. General admission tickets for this 21+ event are $20 for entrance at 9 p.m. VIP tickets are $50 with early entrance at 7 p.m.
Money raised at the event will support the Community Mural Project slated for May 2019 in collaboration with award-winning children’s illustrator and muralist Rafael López.